Flood Relief is a charity book that Malibu put out to help victims of the Great Flood of 1993. It was rushed to production pretty fast, and was available to anyone who sent in a coupon and donated at least $5 to the American Red Cross. 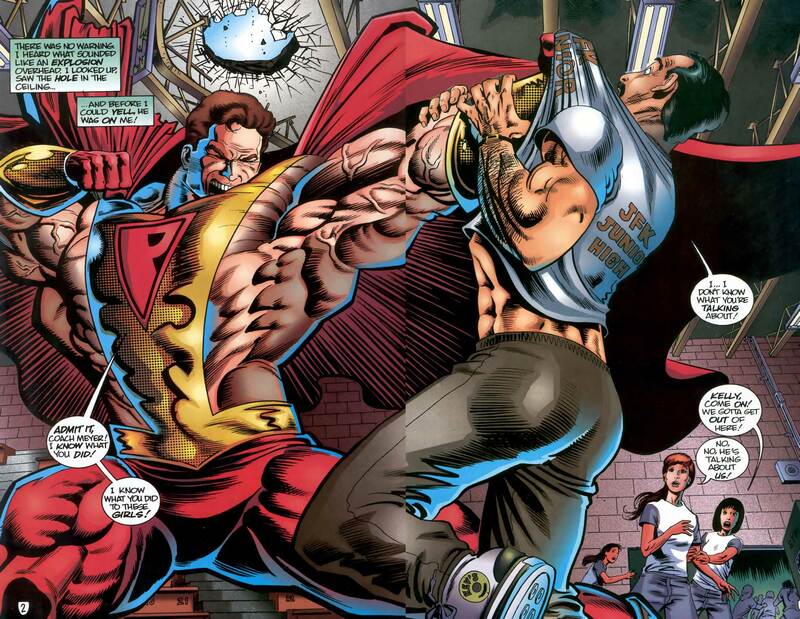 Total print run for the issue was set at 15,000 (Malibu covered all of the production costs), and it featured several stories with Ultraverse characters. 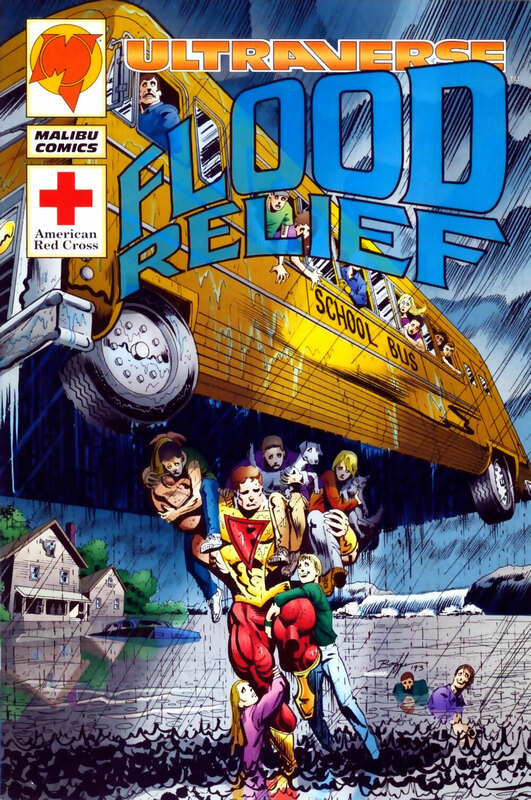 It also had a great Norm Breyfogle cover with Prime lifting a school bus out of the water. Hey, it was for a great cause. I sent in my five bucks. I realize that’s kind of cheap of me, but I wasn’t making a lot of money then. And for now, we’re just discussing the collectibility of this book. It’s quite easy to pick up a copy now for less than the fiver I spent. This is a book that definitely belongs in the library of any Ultraverse collector. There have not been any recent sales on eBay of this book, although there are a number of auctions priced between $2 and $21. You can buy one for $2.40 off mycomicshop.com; Mile High has a near mint copy for $8. Obviously your best bet is mycomicshop.com; you can also pick up some other Ultraverse books on the cheap while you are there. BREAKING NEWS! 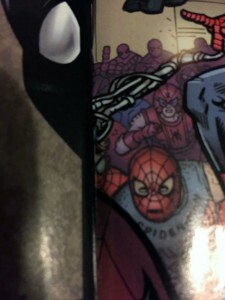 Spider-Prime Cameo in Spider-Verse #2! I’m stunned. When we started the Ultraverse Network, I never suspected we’d be posting Ultraverse-related content from a brand new comic! 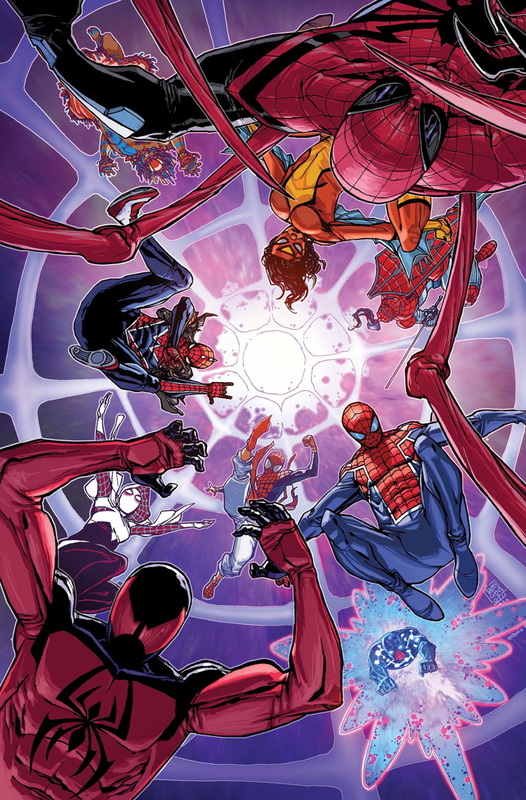 The anthology series Spider-Verse #2 hit the stands yesterday from Marvel Comics, written by Dan Slott, Kathryn Immonen, Jed McKay, and others; with art by Mark Brooks, David Lafuente, Sheldon Vella, and others; and a cover by Giuseppe Camuncoli. 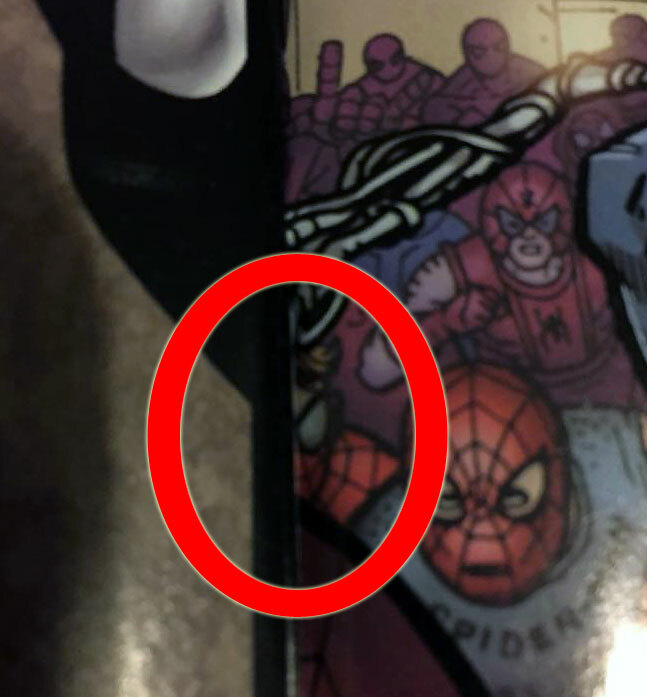 You may find this hard to believe, but the long-lost fan-favorite character Spider-Prime has a cameo appearance in this book!! Check out the page below (click to enlarge)! Yup, that’s Spider-Prime! Admittedly, it’s a really brief cameo. Heck, it’s like one-eighth of a cameo, but they managed to sneak him in! Now, let’s think about this for a minute. It’s been nearly 18 years since we’ve seen our favorite Ultraverse characters in print. We started this Network just about three months ago, and now we’re suddenly seeing the return of an Ultraverse character?!??! Coincidence? I THINK NOT!! … okay … it’s totally a coincidence, but it’s still fun to claim it was our influence. If you are an Ultraverse completest (and I know there are a bunch of you out there), be sure to pick up Spider-Verse #2, in stores now! You’ll find the cover below. My thanks to Steven Boyd of the Facebook Ultraverse Group for the image and the heads-up! Prime #1 made a huge splash in the comic market back in June 1993. Check out this amazing two-page spread by Norm Breyfogle! That’s an impressive way to launch a new imprint!